I think about the idea to communicate with a potato. When we water a potato while it is growing on the ground, we are communicating with it. Just the same way the potato communicates with us when we ingest it when transferring its flavor to our taste buds. Following the same logic, we can affirm that fire communicates with us when we get burnt, and we communicate with it when we keep it burning; the same happens when we get wet because of water, and we keep it cool enough so it does not evaporate. This line of thought manifests essentially that (it seems like) everything can communicate with us in a very specific and unique way, and we can react and reply. If we look a little further, it also seems like everything in our environment is made to communicate internally, because the potato cannot taste itself, fire cannot burn itself and water cannot cool itself. They can only do it to one another. In theory, what we should communicate is security. As soon as a horse is owned by a person, by default we should give them security, as parents should give to their children. In the same way we expect to get burnt from the fire, the horse expects to get security from us. The next thought is very obvious, we cannot give security to a horse if we use a bit, and inflict pain to them. The sensation that a horse feels when it is ridden with a bit is the same as if we take a bottle of water to drink, but instead of drinking water, suddenly sand gets poured into our mouths. The feeling associated to this is anger, bewilderment and deception. The horse expects security, but it is experiencing deceit. And not just once, it is experiencing deceit over and over again. Every time we pull on the bit, it feels this way. I saw a Ted Talk called “Start with why”, by Simon Sinek international speaker. His talk changed my whole idea about what a leader is, and immediately I related this to horses. Sinek stated that “Leaders are givers not takers”, which means that leaders are serving the group, and are not served by the group. Being a leader is a great responsibility, and the motivation can only be the fulfillment to devote one’s self to the well-being of others. Horses have this concept integrated in their nature and thus their behavior. We usually think that horses are leaders (usually associated to stallions), they are aggressive and they get that position in the pack because they are stronger. But the horse is not the leader because it resembles a dictator, it is the leader because the group chose it due to its behavior. It gets this position by earning the respect of the rest of the group and taking secure decisions for all of the members. In this position the leader is the most vulnerable, it is always at risk, and willing to sacrifice itself for well-being of the group without hesitation, in the same way firemen do for us. So the old perception about stallions, that they are almost like monsters, and that the ’harem’ has to serve it at any cost is not right. If they behave aggressively it is merely to save and protect the group. “Gandhi, Mandela and Dr. King didn’t get the leader position by force, they were chosen by the people to be followed, because they behavior and their believes, and to be a leader in not like a ranking where you scale positions in our job, you get it by trust”, Sinek says. There is no possibility to be the leader of the horse if you use a bit, never. We focus on getting security for ourselves instead of for the horses by using a bit, and forgetting that as the fire cannot burn itself, we cannot give us security that way at all, that is just an illusion. We are here to give a feeling of safeness and security to the horses, as water gives us the sensation of being hydrated. Yet we put our needs first, and not the horses’, erasing every possibility to become their leader. 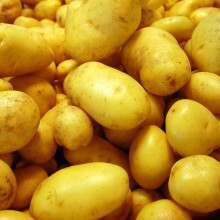 Potatoes are willing to die for us, to give us all they have. Then how far are you willing to go for your horse? Horse Behaviorist, creator of Ishbak Bitless System, Founder of Bitless Racing Movement.